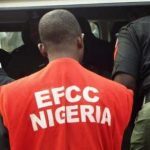 The Economic and Financial Crime Commission (EFCC) has arraigned Abdulkarim Abdulsalam, governorship candidate of the Green Party of Nigeria (GPN) in Kano state. Abdulsalam was arraigned alongside one Ebere Nzechukwu, at a federal high court sitting in the state over alleged N100 million fraud. Lewis Allagoa, the presiding judge, had ordered the anti-graft commission to produce all the defendants. 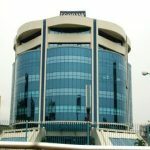 However, Johnson Ojogbane, the prosecuting counsel, presented only Nzechukwu, the third defendant. Ojogbane alleged that Abdulsalam refused to honor the EFCC invitation, while praying the court to adjourn the case to enable him produce the other two defendants. According to him, Abdulsalam and one Michael Edosa, now at large, had in August 2014, conspired to obtain millions of naira from one Jamman Al-Azmi. “The defendants presented themselves to the complainant as those who had the capacity to partner with him for a joint venture business which they knew was false,” Ojogbane said. Ojobane said the defendants are facing a nine-count charge, offences which contravened sections 1(1) of the advanced fee fraud and other fraud related offences act 2006 and punishable under section 1(3) of the same act. The case was adjourned till November 19.